The next generation of advanced wireless connecting technology, or 5G, is rolling out faster than expected. As the largest telecom equipment vendor in the world, Huawei has shipped up to 70,000 5G base stations and secured 40 commercial contracts, Ken Hu Houkun, rotating chairman of Huawei, said at HAS2019, an annual global analyst summit held on Tuesday in Shenzhen, Guangdong Province. Growing political pressure from the US government on its allies to drop Huawei's equipment for the so-called national security reasons has not stopped the Chinese company from moving forward. As more 5G smartphones hit the market in the second half of 2019, the industry will see much stronger confidence in the use of 5G technology in a variety of scenarios and boost the growth of Internet of Things (IOT) , big data and AI. Talking about external challenges, Hu asserted that cyber-security is in essence less a geopolitical issue and more of a technical one. "Politicizing the issue is a bigger challenge, not only for Huawei but also for the wider industry," he said. The US is likely to continue to press its allies to shun Huawei and its advanced 5G technology in an upcoming gathering in Prague, Reuters said on Tuesday. 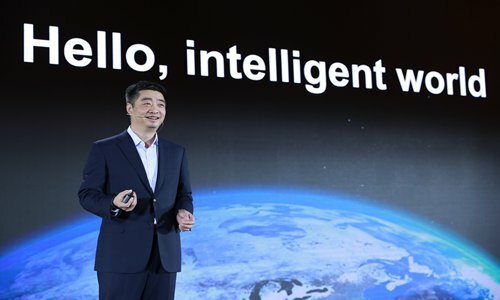 "Huawei voluntarily gave up participating in 5G network building in the US and is still working with the Australian market on 4G and on some 5G trials," said David Wang, a senior executive of Huawei. "As to other countries, Huawei has been actively taking part in their 5G rollout, and we won't see big change in terms of our geographic involvement at the global scale," he added.